More than twenty drugs have been developed for the treatment of TB. Most of them were developed some years ago. You can read about the History of TB Drugs. The anti tubercular drugs are used in different combinations in different circumstances. For example some anti TB drugs, the first line drugs, are only used for the treatment of new patients who are very unlikely to have resistance to any of the TB drugs. There are other TB drugs, the second line drugs, that are only used for the treatment of drug resistant TB.1“Treatment of Tuberculosis guidelines”, WHO, Geneva, 2010, 85 www.who.int/tb/en/ There are now starting to be some new TB drugs, but most are still undergoing testing. Generally anti TB drugs, that is TB medicine, is taken for the treatment of active TB or TB disease. One exception to this is when TB drugs are taken for the treatment of latent TB. One TB drug must never be taken on it’s own. Several TB drugs, or TB medication, must always be taken together. If only one TB drug is taken then resistance may develop to the drug. This means that the drug won’t work and the patient isn’t cured of TB. It is often now that several TB drugs are combined together in one tablet or pill. This is known as a FDC, or Fixed Dose Combination. TB is caused by bacteria which are in a person’s body. The TB drugs have the aim of killing all the TB bacteria in the person’s body. This means that the person is then cured of TB. However TB bacteria die very slowly, and so the drugs have to be taken for quite a few months. Even when a patient starts to feel better they can still have bacteria alive in their body. So the person needs to keep taking the TB drugs until all the bacteria are dead. All the drugs must be taken for the entire period of TB treatment. If only one or two TB drugs are taken then the bacteria may not all be killed. They may then become resistant to the TB drugs which then don’t work. If the person becomes sick again then different TB drugs may be needed. All the TB drug names have abbreviations which are either one, two or three letters.2Alimuddin Zumia, “Advances in the development of new tuberculosis drugs and treatment regimens”, Nature Reviews Drug Discovery, 2013 http://www.nature.com/nrd/journal/v12/n5/box/nrd4001_BX3.html There are also trade or brand names, which is the name by which a drug is known when it is being sold in a particular country and is made by a particular manufacturer. http://www.medindia.net/drugs/medical-condition/tuberculosis.htm In other countries the trade name will be different. 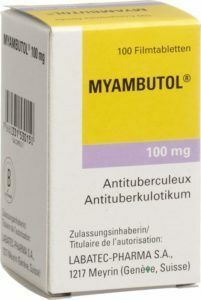 For example, ethambutol is sometimes referred to as Myambutol. Isoniazid is sometimes called AKT4 (Lupin Laboratories). The United States uses abbreviations and names that are not internationally recognised. For example, rifampicin is called rifampin and abbreviated RIF. A regimen means a course of treatment. For TB this means a combination of TB drugs. Drug regimens are described in a standard manner. The drugs are listed by their single letter abbreviations. The order is the order that is roughly the order that they were introduced into clinical practice. The number of months that the drug should be given for is denoted by a prefix. A subscript denotes intermittent dosing, and no subscript means daily dosing. Most regimens have an initial high intensity phase followed by a continuation phase. The high intensity phase is described first and is followed by the continuation phase. A slash separates the two phases. These are the antitubercular drugs that generally have the greatest activity against TB bacteria. 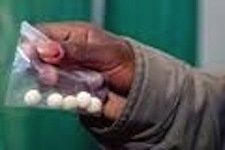 This medicine for TB is particularly used for someone with active TB disease who has not had TB drug treatment before. All the other TB drugs are generally referred to as second line TB drugs. Patients who have not had any TB treatment before, or they have had less than one month of anti TB drugs, are considered to be new patients. New patients are presumed to have drug susceptible TB (i.e. TB which is not resistant to any of the TB drugs) unless there is a high level of isoniazid resistance in new patients in the area. The other people who may have drug resistant TB are people who have developed active TB disease after they have been in contact with someone who is known to have drug resistant TB. For new patients with drug sensitive TB the World Health Organisation (WHO) recommends that they should have six months of TB drug treatment. This should consist of a two month “intensive” treatment phase followed by a four month “continuation” phase. for the “continuation” TB drug treatment phase. It is essential to take several TB drugs together. If only one TB drug is taken on its own, then the patient will very quickly become resistant to that drug, which means that the drug then won't work. It is recommended that patients take the TB drugs every day for the six months. It is extremely important that all the recommended TB drugs are taken for the entire time. The amount of any drug that a patient needs to take depends on the patient’s weight. The treatment probably won’t work if only one or two of the TB drugs are taken, or if the treatment is interrupted or stopped early. This is because the TB bacteria develop resistance to the TB drugs. The patient is then still ill, and to be cured they then have to take drugs for the treatment of drug resistant TB. The World Health Organisation (WHO) has significantly changed its recommendations on this over the last few years. This includes the fact that it no longer puts patients into treatment categories. It is also no longer recommended that patients are given streptomycin unless it is as part of a drug resistant TB regimen when no other drug is available. Patients eligible for retreatment should be referred for a rapid molecular test or drug susceptibility testing to determine at least rifampicin resistance, and preferably also isoniazid resistance status. On the basis of the result of the drug susceptibility test(s), a standard first line treatment regimen (2HRZE/4HR) can be repeated if no resistance is documented. If rifampicin resistance is present, an MDR-TB regimen should be prescribed according to WHO's drug resistant TB guidelines. When patients have had treatment interruption, the reason for the interruption should be addressed. The reason might be medication stock-outs, adverse effects from medicines or a need for greater patient/provider education. What is the reason for the change in WHO recommendations? The category II regimen involved adding streptomycin to a drug regimen which patients had been given before. One of the basic principles of TB treatment is that a single drug should not be added to an unsuccessful regimen. Adding streptomycin to a previously unsuccessful regimen of isoniazid, rifampicin, ethambutol, and pyrazinamide goes against this principle. It can fuel the development of drug resistance leading to the loss of streptomycin as a second line agent in MDR-TB treatment. It can delay a patient receiving proper treatment for drug resistant TB and if a patient has drug susceptible disease it can expose them unnecessarily to the toxicities of streptomycin. There is separately some more information on the TB drugs that are used for the treatment of drug resistant TB. The side effects of TB drugs depends on the exact combination of drugs that are being taken. The side effects can range from mild to severe. One drug with a particularly severe side effect is streptomycin. This drug can cause people to become deaf and it should be avoided if at all possible. It should only be used for the treatment of Drug Resistant TB when no other drug is available. It is excellent news that the category 2 TB treatment which was recommended by WHO for many years for people who had previously had treatment is now no longer recommended. Many patients previously given streptomycin and who went deaf as a result will no longer be given the drug. This is one of the reasons why it is essential that the new WHO recommendations are now always followed. Treatment Categories have not been used by WHO since 2010. There is more about Treatment Categories.